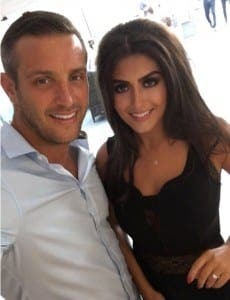 ELLIOTT Wright has announced he will not be inviting his former Only Way is Essex co-stars to his wedding. The reality TV star, who owns Olivia’s restaurant in La Cala, says he is no longer close to the likes of Gemma Collins or Arg. Now the star of his own show, Elliot Wright: Playa in Marbella, he is set to marry Sadie Stuart later this year, although they haven’t decided if it will be in the UK or Spain. “I keep in touch with the Towie lot to a certain degree but I wouldn’t say I’m close, I live in Spain now,” the 35-year-old said.